Imagine that wonderful feeling when you wake up after a good night's sleep. Choosing a chemical free natural silk duvet is one way to ensure that you get that feeling every morning. Why choose a chemical free silk duvet? Hazardous substances are commonly used in processing textiles. Our silk duvet is produced in a chemical free way. The silk duvet is only treated using boiling water and the silk quilt cotton casing is bleached using peroxide rather than chlorine bleach. 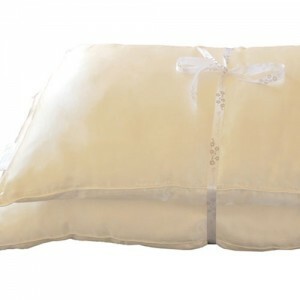 Other advantages are that a silk duvet is also naturally hypo-allergenic, because unlike feathers, down and wool; the natural duvet is inhospitable to dust mites. 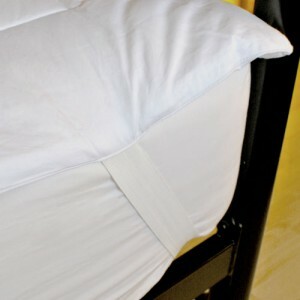 This makes it a natural duvet alternative for allergy sufferers. The silk quilt helps relieve itching caused by skin conditions such as eczema and is of positive help to sufferers of asthma. A silk quilt is breathable and has a great warm in winter, cool in summer effect which helps to keep you comfortable and stops you overheating. So our silk duvet range is kind to the environment, better for you, and means you can sleep better. Choose a silk filled duvet and change the way you sleep forever. If you’re not sure what to choose please ask our advisors for their recommendation. We use the products ourselves can give honest and impartial advice as to the relative merits of each type of duvet. To ask a question or place an order by phone call free on 0800 169 2579 (or 020 8465 5600) or email us for expert advice. 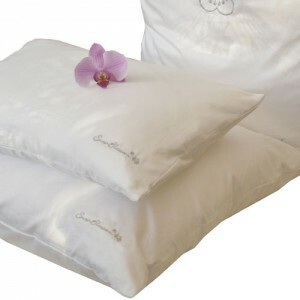 Chemical Free Silk Duvets, perfect for eczema & allergy sufferers. Warm in winter, cool in summer, they drape around you beautifully, minimizing cold air pockets. Sheer bliss!